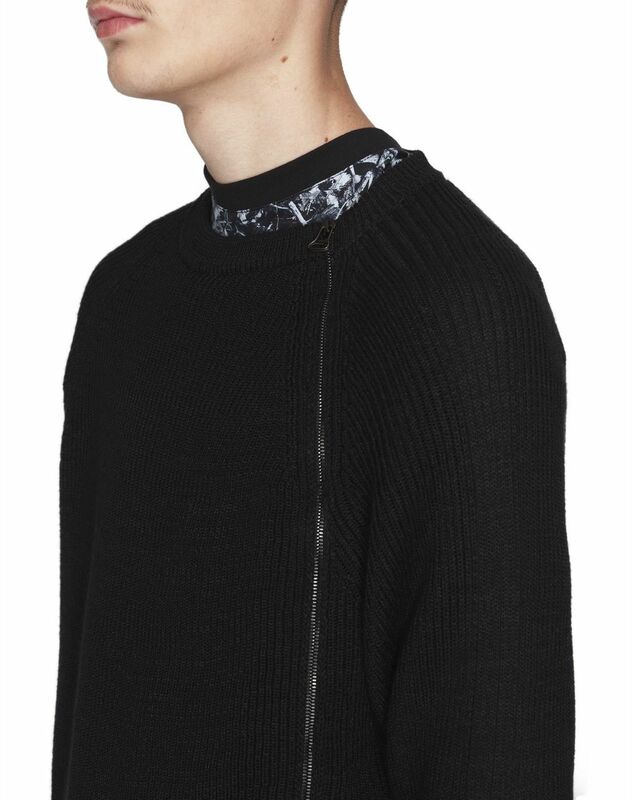 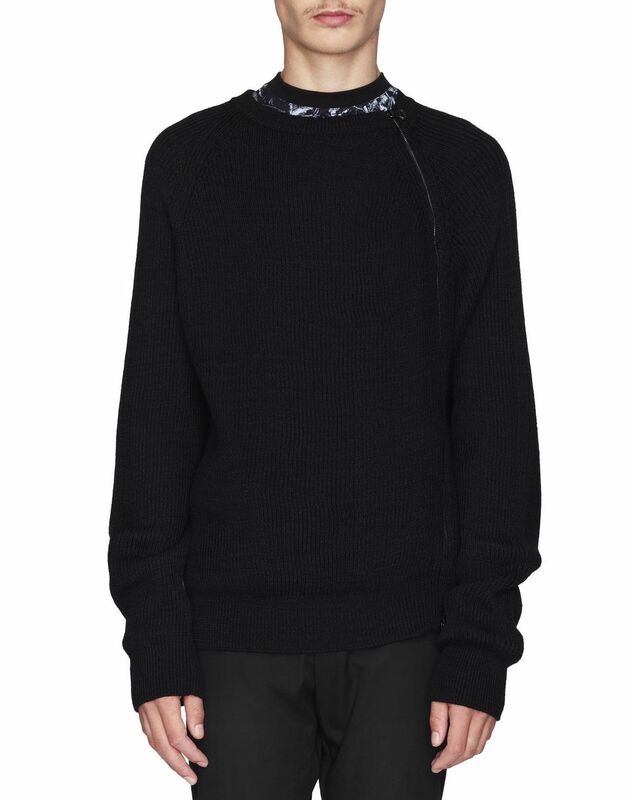 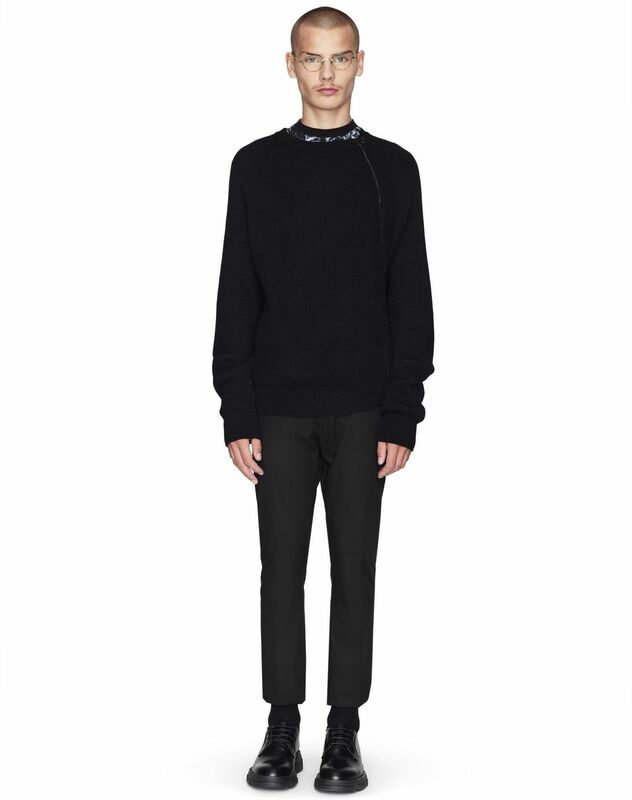 Long-sleeved black sweater, round scoop neck and asymmetric zip fastening on the side. 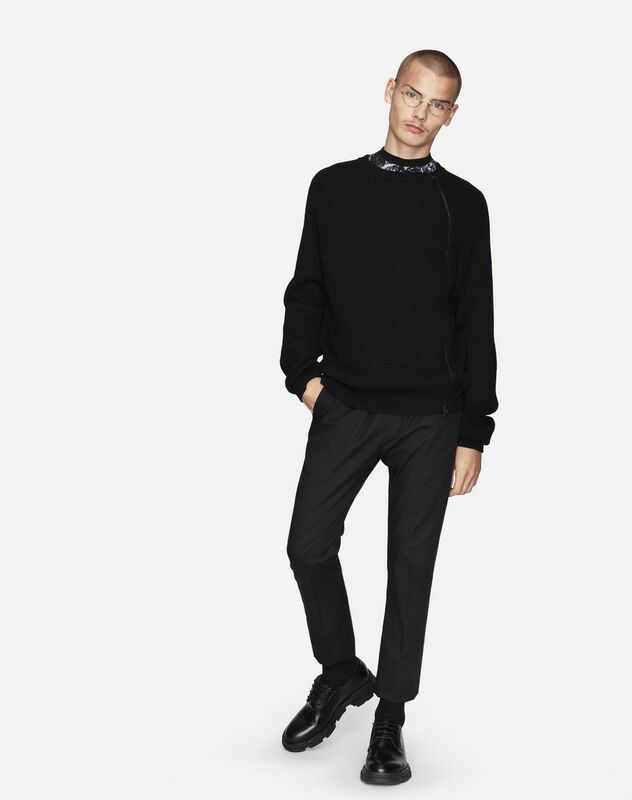 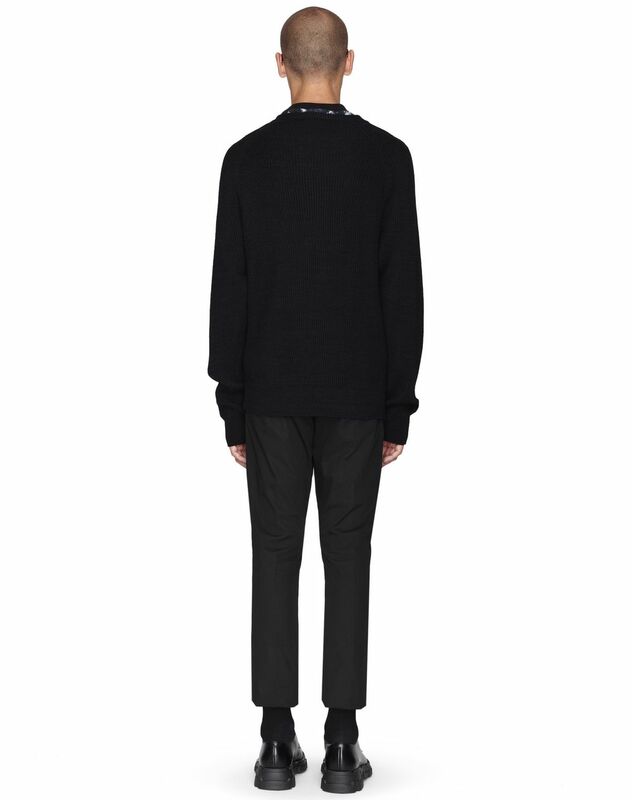 A new arrival in the Spring/Summer 2019 Pre-Collection, this black sweater stands out for its asymmetric zip fastening, allowing it to be worn and styled in many ways. 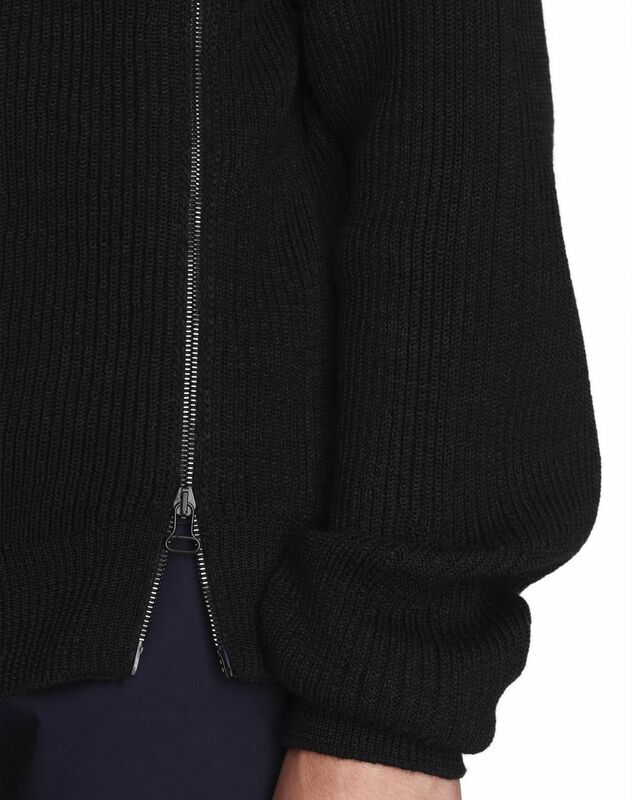 Its comfortable, elegant knit fabric will be perfect for the season.